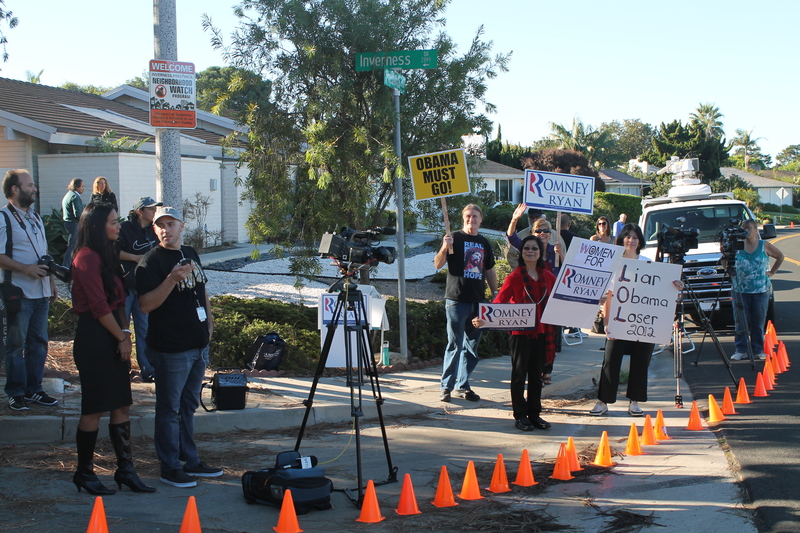 Impeach Obama Overpass Demos – Tips on Media Coverage | Stop Obama Now!! Local news outlets are actually pretty open to covering Impeach Obama protests, and local coverage can be a big step towards obtaining national coverage. Besides providing free local publicity, local media outlets often feed stories via news distribution services to other sites across the nation and up to their affiliated national networks. Even the national conservative media does not promote impeachment and removal of Obama, probably because they are driven by contrary financial considerations. That is, their owners and advertisers do not support it. Publicizing your event in your local media and in the Internet can multiple the effectiveness of your event many times over. If the impeach-Obama movement becomes large enough, it will be impossible for the national media to ignore. Obtaining coverage from your local TV/radio stations, news websites and newspapers is an important first step in that direction. Call your local TV stations and newspapers and find out what the e-mail address of their tip-lines or newsdesks are. Make an e-mail distribution list of their addresses and e-mail them all at once, 1-2 days before you have an event. They normally do not reply, but some will probably add your event to their schedule of their camera teams and/or reporters. The e-mail does not need to be very detailed, just let them know what the event is about in a couple of sentences, the time, place and an estimate of the number of people expected to participate. Do not neglect small town or suburban news websites, such as the Patch. Such small town news websites are hungry for news and an Impeach-Obama protest will likely be considered a big event. Their report may be picked up and re-posted by many other blogs and news sites around the country. To find the site for a particular town, Google the town name and “patch.” (The e-mail address of the editor of the Patch site is listed on their front page.) You can also post a notice of your event on a Patch website. The original Carlsbad demo received national attention due to an exaggerated article in the Carlsbad Patch, which appeared to be motivated by a desire to make us look bad. All publicity is good publicity! The designated spokesman for the group should have just a couple of short sentences prepared for a sound bite. If they put you on the news, it will probably be just for a very short time, tens of seconds, but a LOT of people will learn about your group. Try not to ramble, stick to your prepared points. Do not attack the media in your interview, because that will greatly reduce the chances of it being aired. If Obama visits your area, or some other related event occurs, move your demonstration right up front and center, where the media will be. Often the media will record the protest and report on it as a part of the larger event. The wide-spread idea that protesters near Obama will be arrested is a gross exaggeration. If the Secret Service seals off an area, they will give you ample warning beforehand. You can often protest within a few feet from Obama’s motorcade and right in front of where he appears, as depicted in the photo on the right of an Impeach Obama protest in Galesburg, Illinois. So, go ahead and get in his face, so to speak. It would be nice for the video if there was a bit of staging to put the camera, on-air talent, interviewee, rally group and a background in line. Ambient noise, loud vehicles, can mess up the shot. When the camera is rolling the ralliers should be dynamically active. Online reviews have proven that these web designing agency. were in higher potential of the online retailers and the owner does best.